By delivering a modern, relevant and dynamic curriculum we challenge our students to think creatively, critically, ethically, and empathetically in every facet of their studies and across all disciplines. In a rapidly changing and interconnected world, success has never been more strongly linked to the ability to navigate the deluge of information at our fingertips. Through our academic programs we develop the necessary skills which allow our students to confidently engage with the world around them. Our Academic Executive and Curriculum team promote a culture of high expectations and accountability among teachers, students and families, and develop targeted learning programs to enable students to achieve their learning potential. Our scholastic models and teaching methods are informed by the very best research, data, resources and educational organisations in the world including; Harvard Graduate School of Education, Headmasters and Headmistresses Council (HMC, UK), Grattan Institute, McKinsey and Associates, and the Organisation for Economic Cooperation and Development (OECD). St Leonard’s College was the only Australian school invited to engage in the OECD 2030 project – The Future of Education. This project is focussed on the development of curriculum and pedagogical practice to address the knowledge, skills, attitudes and values that today’s students will need to thrive in the increasingly volatile, uncertain, complex and ambiguous world. Our ELC offers an enriching and stimulating educational program for children aged three to five years. Our program follows the Reggio Emilia approach to early childhood education, a world-renowned teaching and learning philosophy inspired by the system of early years education in Reggio Emilia, a town in northern Italy. Widely recognised as best practice in early childhood education, Reggio Emilia offers an education which respects children and their rights as citizens. Reggio Emilia sees the child as competent, powerful and full of potential, and places each child at the centre of their own learning. Children are encouraged to brainstorm and discuss topics of interest as well as develop skills in problem solving, hypothesising, critical reflection and collaboration. Specialist activities include music, library, movement skills, creative arts, drama, and mindfulness. Reggio Emilia also emphasises the importance of the physical learning environment to stimulate inquiry, and the centre itself is architecturally designed to inspire creativity, exploration and curiosity in young children. We also recognise the pivotal role parents play in their children’s education and welcome their contributions as partners, collaborators and advocates. Our highly qualified staff foster a setting where children begin to develop the skills and qualities necessary to become lifelong learners, and provide a rich environment for social, intellectual and physical development. The ELC program follows the Early Years Learning Framework and, following an assessment by the Australian Children’s Education and Care Quality Authority, was rated as Exceeding National Quality Standards. This assessment confirmed what we already know to be true – our committed staff and leading educational practice provide young children with a stimulating program that enhances learning and development, and ensures every child is cared for and encouraged to thrive. McMillan House is St Leonard’s College Junior School and caters for children from ELC to year 4 in a friendly, caring environment. 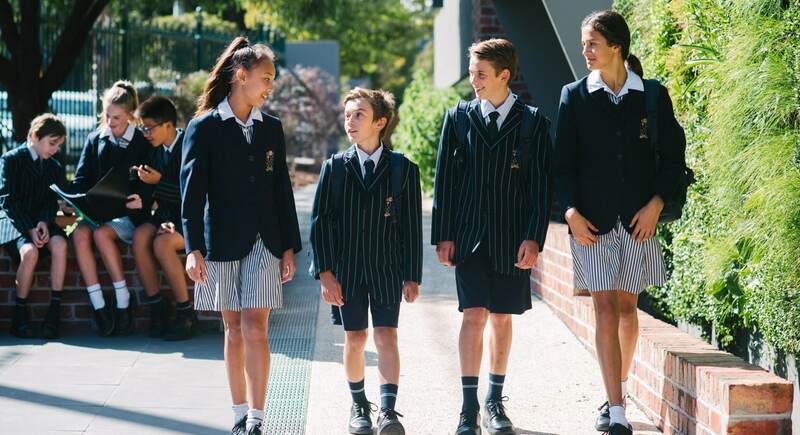 In a modern learning facility, our Junior School cultivates intelligence, innovation and an international perspective; producing responsible and compassionate leaders who place the welfare of others before their own and who are willing to embrace the challenges of our century as opportunities to make a difference. We believe that every child should be a capable, competent and active participant in his or her own learning journey. Assemblies, playground games, cross-age tutoring and special whole-College activities mean that the children and staff in McMillan House are known to each other and a happy learning environment is created. A variety of specialist staff are involved in McMillan House, including a teacher librarian, music, art and physical education teachers, school counsellor, learning enhancement teachers, and a specialist language teacher (Chinese). Our programs in McMillan House follow the International Baccalaureate Primary Years Programme (IB PYP). Expertly designed for children aged 3 to 12, the PYP is a curriculum framework, which prepares students for the intellectual and emotional challenges of further education and employment on the global stage. The programme incorporates local and global issues into the curriculum, asking students to look at six related, transdisciplinary themes and to consider the links between them. These units of enquiry foster academic, social and emotional growth, and focus on international-mindedness and the development of strong personal values. Importantly, the PYP values independence, initiative and self-motivation, encouraging every student to take responsibility for their learning. The IB PYP is also taught in our Early Learning Centre and shares many of the fundamental principles of the Reggio approach, facilitating a smooth transition for children into our Junior School. The upper primary years of schooling are an important stage as students look for new challenges, eager to learn more about the world around them and their place in it. Children at this age have a real thirst for knowledge, driven by the wealth of information available to them instantly and at any time online. We understand that the life of an 11 year-old now is very different to that of their parents and teachers at the same age, and that the old ways of teaching are unable to meet modern year 5 and 6 students’ potential abilities and understandings. That’s why we have developed a unique program for learners at this stage, designed to present them with the challenges they seek and instil in them a love of learning that will stay with them throughout their secondary education and beyond. Our year 5 and 6 students have dedicated, specialist educators across all subjects; they learn Mathematics from a mathematician and Science from a scientist. The curriculum covers English, Science, Mathematics, Humanities, Critical Thinking, languages, Digital Technology, Physical Education, Art and Music, all taught by specialist teachers and in specialist classrooms. Our award winning program provides students in years 5 and 6 with a greater challenge, ensuring they remain engaged and excited in their learning and building in them the learning dispositions, confidence and critical thinking skills they will need to embrace their future. Middle School (years 7 to 9) is an important, and sometimes challenging, time of transition from child to adolescent. Students begin to explore their sense of identity, test their boundaries, and gain an understanding of their potential and place in the world. The things learnt in Middle School can last a lifetime as students explore and discover interests that become lifelong passions. Our Middle School programs, curriculum and environment have been specifically designed to assist students’ academic and personal development during this exciting time of change and growth. Middle School staff understand that a balance between firm boundaries and risk taking is necessary in adolescence, and specialist staff, including a Middle School Counsellor, support students at every stage of their journey. The curriculum options available gradually expand as students move through Middle School, with each individual asked to make choices regarding their own academic programs. Throughout years 7 to 9 a wide range of electives is offered, allowing students to tailor a program to their own interests and passions, and explore a wide range of subjects before they must determine a course for their final years of schooling. The Middle School experience culminates in the year 9 Community Urban Environment (CUE) program. This experiential learning program offers pastorally led and academically informed activities to enhance students’ understanding of their local community, and to develop an appreciation of Australia’s place in the wider Asian region. Students participate in out of classroom activities designed to develop independence, initiative and teamwork, and expose students to new experiences and points of view. The CUE program ends with the Big Experience, a three-week journey to a South East Asian country with a strong focus on service and environmental sustainability. Our programs for students in years 10 to 12 are designed to support their successful transition into the world beyond our school gates. Within a strong academic and highly-supportive emotional framework, our teachers challenge students to work outside their comfort zone, developing in them the courage and confidence to master the challenges of further study, work and life. We value critical and independent thinking and strive to build self-confidence in all of our students, which is crucial to the wellbeing of young people moving from adolescence into early adulthood. Senior School students are encouraged to continue their participation in the diverse range of cocurricular offerings available to them. Especially in the final years of their secondary education it is vitally important that young people maintain a healthy work-life balance. 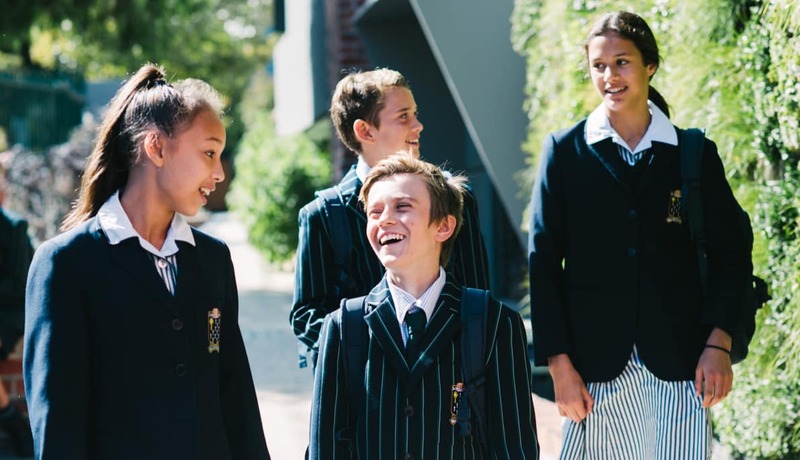 In addition to the VCE, we offer the International Baccalaureate Diploma Programme (IBDP) – the tertiary entrance qualification most respected and widely recognised by the world’s leading universities. 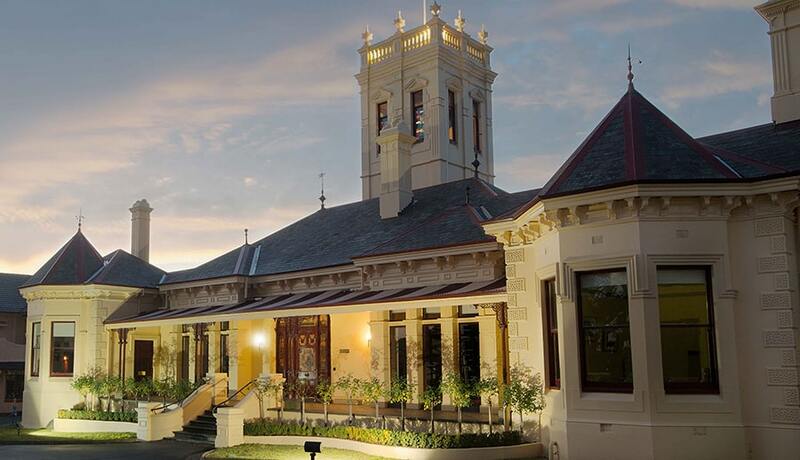 Almost 35 years ago we became the first Victorian school, and only the second in Australia, to introduce the IBDP. Since then the Programme has enjoyed increasing popularity, with almost one-third of the 2015 year 12 cohort choosing the IBDP as their preferred pathway to university study. An extensive selection of subjects, and our highly qualified and committed staff teaching across both the VCE and IBDP, ensure our students enjoy the best support and tuition available. 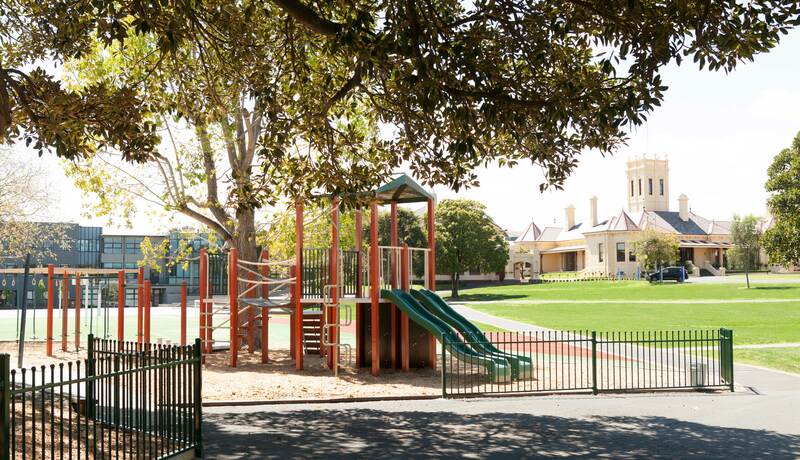 At St Leonard’s College we understand that every child has a unique set of needs and abilities, and our specialist programs are designed to ensure every student is provided with the opportunities and tools to achieve their best. An academic extension program operates throughout Middle School and offers selected students enrichment classes in English, Mathematics and Science. Our dedicated Talent Development Coordinator facilitates participation in external programs such as Tournament of Minds, da Vinci Decathlon and Future Problem Solving. These state, national and international competitions develop critical and creative thinking skills across a range of disciplines. Teachers serve as mentors to small groups of students, working closely with them as they prepare for the competitions and offering support and guidance in their specific area of expertise. Our students regularly qualify for state, national and international finals in talent development competitions, providing opportunities for interstate and international travel, and for students to connect with like-minded peers from schools around the country and the world.